It's hard to find newly renovated studios with fully equipped kitchens and private lanais on Maui. 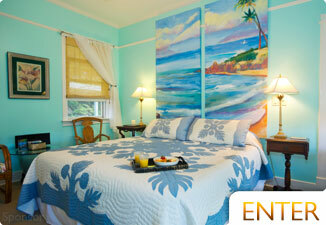 Well, The Mauian offers a charming property only steps away from one of our favorite Maui beaches, Napili Bay. If you're looking for a peaceful island-style getaway, Napili is tucked away from the major tourist areas offering a serene, beautiful vacation. Conveniently located only 2 minutes from the center of downtown Wailuku, this charming bed and breakfast is nestled within 37 scenic acres of flush forest and sits directly along the Iao Stream. 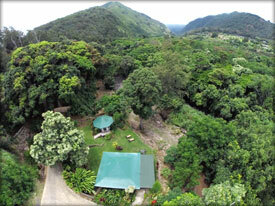 Privacy, peace, and beauty await with 2 rooms available as well as a cottage and gazebo studio. Located in a convenient area of North Kihei, this beautifully renovated resort includes an ocean view, spacious rooftop deck and many private guests rooms (rooms, studios, suites and penthouses) only 30 steps away from an uncrowded stretch of beach. Great service, free deluxe breakfast, no resort fee, 24 hour room service, concierge service, 24 hour desk, complimentary adventure equipment and friendly vibes make this a great option. 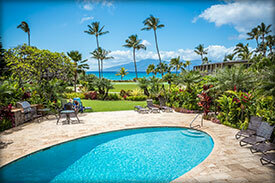 This is a central spot to stay for those looking to exlore Maui. Overlooking Wailea Beach, the Wailea Marriott has a large landscaped property with a luau dinner show, Mandara Spa, pools, and many amenities. The entire resort was recently remodeled and updated. The now much-improved resort has some incredible views of the ocean and Kahoolawe and a great location. Located on South Maui's pristine Keawakapu Beach, the Best Western is a smaller quaint Hotel in a prime location on the border of Wailea and Kihei Town. Keawakapu Beach is a lesser visited beach, which makes for more private experience. In the heart of Kihei, the Maui Coast Hotel is across from Kamaole Beach Park I. Pools, fitness center, tennis courts, and much more await you at this coastal hotel. 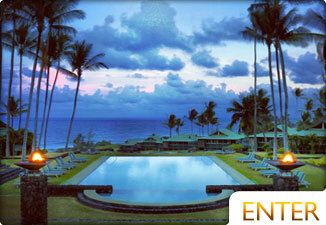 The Maui Coast Hotel offers luxury accommodations at an affordable price. Converted from an old plantation-style mansion on the beach, the Lahaina Shores Beach Resort is in a great location in Lahaina. Great shopping, and diverse dining are all walking distance from from this key location. You get both ocean and mountain views at this 199-room condo resort. Just 3 miles from Lahaina, the Ka'anapali Ocean Inn has restaurants, tennis courts, swimming pools, as well as Whalers Village Shops across from it. This is a very popular hotel situated in the heart of Ka'anapali, Maui, Hawaii. Only a few blocks from the ocean, the Plantation Inn is a charming bed and breakfast with 19 soundproof rooms, Gerard's Restaurant, swimming pool, and a tropical garden. 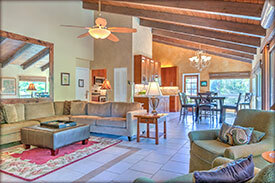 The Plantation is right in the heart of Lahaina Town on the West side of Maui. Within very close walking distance of Lahaina Town Harbor, Banyan Tree Park, the beach, and all the great shops and dining in the heart of Lahaina, The Best Western Pioneer Inn is one of the better locations to stay at. You're steps away from all the downtown action. Located in the heart of Napili, The Napili Kai Beach Resort is made up of 163 rooms spread across 10 acres of land at only 2 levels. Many amenities can be used at the Napili Kai to bring you closer to the way Hawaii used to be. 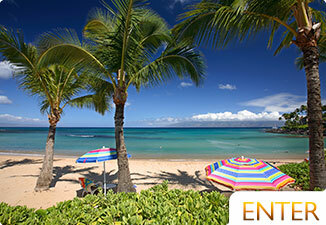 On Ka'anapali Beach, the Royal Lahaina Resort is made up of sprawling lawns and gardens. It is well known for hosting the most Hawaiian Luau on the islands.